Johnny Depp: "I'm No Sell-Out"
The "Pirates of the Caribbean" star defends his recent film choices. Johnny Depp was always known as the guy with the matinee idol looks, but the weird, twitchy, art-school-student sensibility. But has Jack Sparrow changed all that? Not so, says the actor in an interview with The Guardian. "'Pirates' was a film I did just like any other one, I made that choice the same way I made every other choice," says Depp. "I wouldn't change anything, no," he adds. "Because I think I went into it innocently, and it became what it became. And now they want to tear me down. Instantly, as soon as I did 'Pirates II,' they say: 'Oh, he's selling out.' What the f**k does that mean, selling out? What if I did 'Ed Wood II,' is that selling out? I mean, it's not like I was ever looking to become franchise boy, I was never looking to become anything like that. I just latched on to a character I loved." A large part of Depp's popularity was due to the fact that he avoided typical movie hunk roles and opted for stranger turns in films like "Edward Scissorhands" (with frequent collaborator Tim Burton), "What's Eating Gilbert Grape?" and "Fear and Loathing in Las Vegas." But Depp, who admits that the glare of the spotlight led him to flee into drugs and alcohol ("Everywhere you went you were on display. I was never able to embrace it. So self-medication was just to be able to deal with it. "), doesn't seem to be changing his ways any time soon. 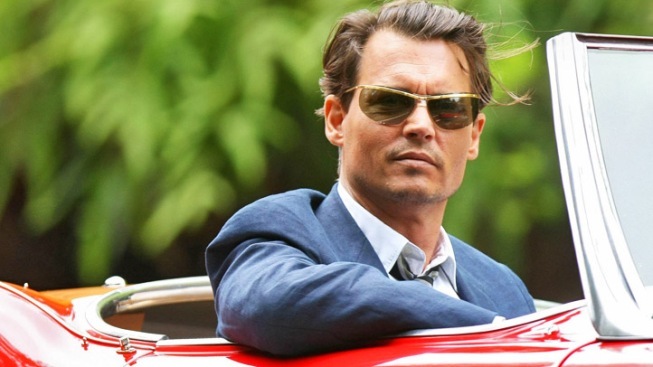 He recently took on the persona of Hunter S. Thompson for a second time (in "The Rum Diary," which failed to make much of a box office splash) and is reteaming with Burton for an adaptation of the supernatural soap opera "Dark Shadows." The "Pirates" backlash isn't keeping him away from big franchises, either. Depp is still in the mix to play Tonto in the troubled by still-gestating "Lone Ranger" movie. Depp also says that, despite spending most of his time in relative anonymity in Europe, he is "not ready" to give up his U.S. citizenship.